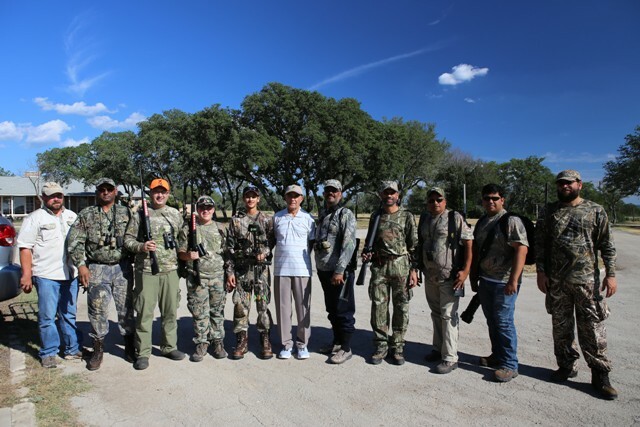 I had the distinct honor of hosting the 1st hunt with the Sharp Shooting Shikaris Hunting Club based in the greater Houston area. When I booked the hunt I had no idea what I was in for but I am glad the group was able to make it out and hunt with Forister Exotics. We started the weekend Friday afternoon at the gun range sighting in rifles and then had a small tutorial on animal species and pricing and what they could shoot and what not to shoot. After everyone was comfortable and ready to go hunt we made our way to the blinds for the first evening. 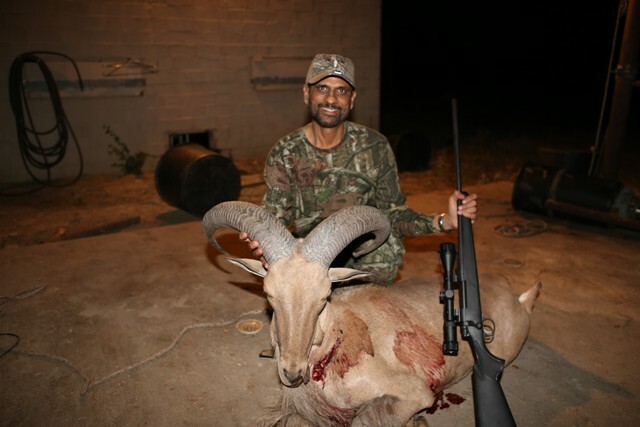 Many animals where seen the first evening and the guys where able to get a few animals down including a nice Aoudad ram. After a little sleep we made our way back to the blinds Saturday morning. The group wanted to experience a few different methods of hunting so over the weekend we hunted from blinds, Safari Style and tried a few spot and stalk hunts. The group ended up with a good amount of meat to take home and they also learned a lot about the animals and hunting in general. After a great hunt the guys had one last meal at the lodge and loaded up to head home. This was a fun hunt for me and I also enjoyed seeing the different cultures the group brought to the hunt. Hopefully we will have them back out for a deer hunt when the season rolls around. Big thanks to Usmon for setting the hunt up. Congrats to all the hunters on their successful hunt at Forister Exotics.